Rainforest Realty Testimonials are very important to our team. 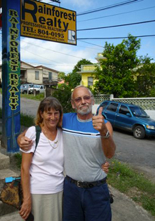 The people we help to Buy Real Estate in Belize and Move to Belize become our friends. Contact us if you have questions about Belize Real Estate or Moving to Belize. 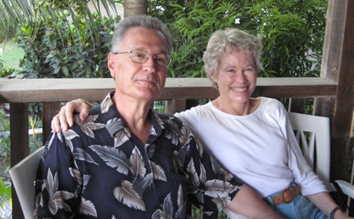 Meet John and Supaya who are relocating to the Cayo District of Belize. Listen to their experience with Team Rainforest in this video. Often when we traveled in the Caribbean and Central America, we would dream of living somewhere warm when we retire to escape the cold Canadian winters. We asked each other how we would know where the right place was and we decided we would know it when we found it. After being in Belize for 4 days on our first trip there in May of 2008, we both looked at each other and said “I could live here”. 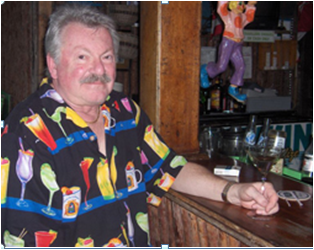 We loved the relaxed way of life and the friendliness of the Belizean peopl and the ex-pats who live in Cayo. 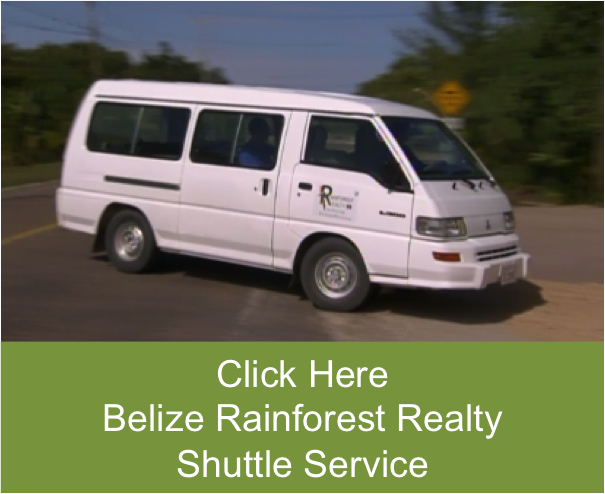 On our return home, we started looking at Belize real estate online and found Rainforest Realty. Our first time out to look at houses was with Hector Mar. 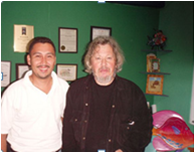 From the beginning, we found Hector to be very friendly and personable, as well as professional and efficient. We looked at about 25 houses over the next 2 years and several trips, before finding the one we fell in love with in Cristo Rey. Buying a house from a distance seemed very frightening, but Hector walked us through the whole process and kept in touch frequently through e-mail. He answered our many, many questions always with patience, and kept us informed at every step. 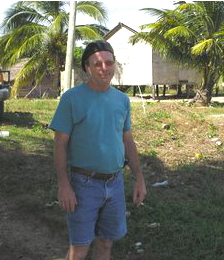 Hector was also helpful with other day to day issues of life in Belize – getting our electricity hooked up, insurance, paying our tax bill, where to shop for certain items, etc. We would highly recommend Hector for any of your real estate needs. He has always been honest with us and efficient in everything that he does. On our “as frequent as possible” visits to Belize, we always visit with Hector (and his lovely wife Kelly) and he has remained a special friend. After several years of having my property listed with multiple Agents in Belize- I was pleasantly surprised when Rainforest Realty was able to successfully sell my river property. Having been in Belize for over 25 years, I know how important it is to hire the right people to get the job done, ethically and professionally – I am thankful I chose to work with Rainforest Realty. 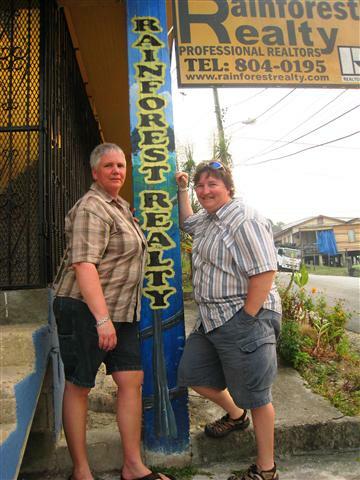 We found Rainforest Realty online and started emailing Macarena Rose regarding property hunting in Belize. 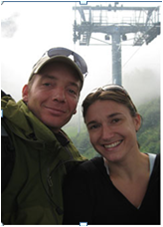 We found we had a connection instantly with Macarena and knew her company would help us find our paradise.Lee is our agent with Rainforest Realty and we started searching for property in 2009. 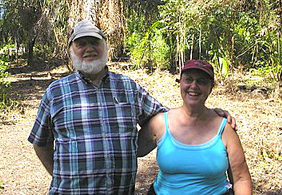 It took 2 more visits to Belize to find our little piece of paradise which is 5 acres on the Mopan River outside the little village of Santa Familia. 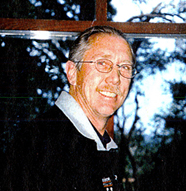 Lee was very professional and listened to our dreams of what sort of property we were looking for. Even though we changed our minds often she did not flee. We put Lee to the test and she pulled through and now we are proud and happy landowners in beautiful Belize.We would recommend Rainforest Realty to help you find your piece of paradise. They guided us through the process even though we had made mistakes on the financing part, they never let go of our hand. They held on tight.We are very proud to say that Lee is a very special friend to us and our lives are better with her in it.Thanks Rainforest Realty!!!!!!! Over three years ago, I decided to sell the property that I had built from the ground up and love dearly on the outskirts of San Ignacio in the Cayo District. I expected a quick sale, but the global economy and the real estate market faltered starting in the autumn of 2008. My Belizean gem sat in limbo and the real estate agent at the time was pessimistic about a sale. After two years with this agent, I went non-exclusive and enlisted two more local realtors, but my property continued to languish in limbo. Then a friend suggested Macarena Rose. She came to see my property and was enthusiastic about the rustic wood house with large deck, enchanting vista and beautifully landscaped yard. She said that she could sell and she did, in less than two months. Macarena succeeded where others failed because of her sunny optimism in a bleak market. She even featured my property on House Hunters International to maximize exposure. Macarena’s team of Hector Mar and Lee Austin expedited the sale and short closing efficiently. Kudos to their professionalism and to Macarena’s inspirational positivity. Thank you, Rainforest Realty!!! 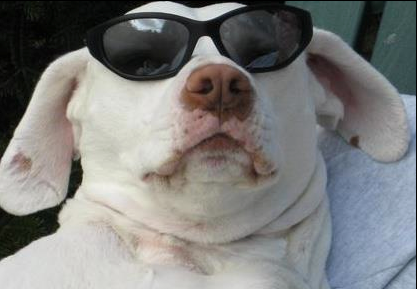 It was a coincidence that I met Macarena Rose, on Facebook. Before long, I had a signed offer on my house in Santa Elena. Hector Mar, one of her associates, took over the file and before long, we had a closing. Hector handled every aspect of my file in an expeditious, confidential manner and went above and beyond to be sure that my transaction closed. I would, without hesitation, highly recommend, Macarena Rose, Hector and the rest of the Rainforest team. I have known Macarena Rose for several years and have found her to be, not only one of the most professional and knowledgeable people in the real estate field, but also one of the most caring. She has handled several very delicate transactions for me and has always put people first in everything she has done. So much in this field is done long distance nowadays. It’s vital to have someone who is reliable, available and always there for you. That’s Macarena! I highly recommend her for anyone’s real estate needs. Upon arriving into Belize from the U.K., we met Macarena Rose, as we were all staying at the same hotel. Being that she had just moved here to Belize, as we had, and during the same week, we found a connection that resonated. During the years we have lived in Belize, and were building our resort Gumbolimbo Village Resort we continued our friendship. So, when it came time to list our home for sale, we contacted Macarena Rose to do so. Her Company, Rainforest Realty, sold our home, handled the complete transaction and very swiftly. I am glad we chose the RIGHT team that got our home sold ! It is easy to see why they have earned their reputation well ! I have known Ms. Rose for a number of years in Belize. She has always conducted herself and her business with the utmost of professional standards. She is hard working and keeps her clients informed about what matters to them most. 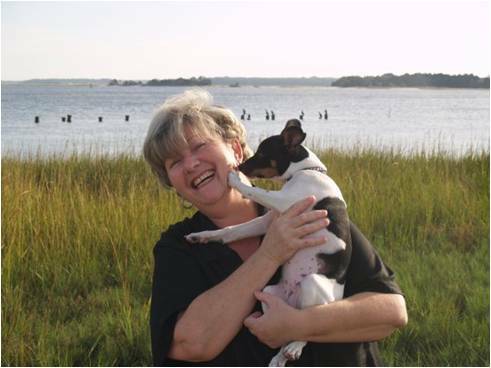 Her knowledge of the area, the properties, the trends are a valuable asset whether you are selling or buying. Doing business with Rainforest Realty is a smart move! Just the truth as I know it! Hello Y’all! Sorry for the long reply. Take care everyone, and have a wonderful Summer! How can you thank a person contacted through Rainforest Realty on the web, only to find out she helps you in all matters of settling down in the environment of your choice? Perhaps by spreading the word that Macarena will find the home, to buy or sell, take care of the arrangements according to buyers and of sellers choices. How can you beat great efficiency and a bubbly personality combined?? 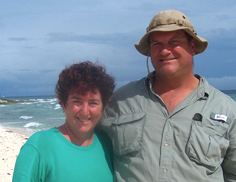 Accolades to Cynthia Reece for making our search and acquisition of property in Belize almost painless. Most communication was via email which decreased expenses and increased response time. Her service was focused, courteous, professional, expeditious, and creative. The few problems we encountered were rectified in a reasonable period of time. Best of all, Cynthia is always cheerful and enthusiastic. 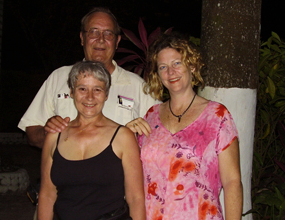 “In March 2008, we took our first trip to Belize, in particular to look at San Ignacio and area. We had entertained the idea of looking at some property while there, for a future retirement home in a green and much warmer climate. Our first night there, we came upon a house listed for sale and we fell in love with it under the street light. The listing realtor we talked with had nothing in his files except the house number, and was unable to answer any further questions we had about the property and appeared somewhat reluctant to assist us. We had been introduced to Macarena Rose while out for lunch. She had told us “If you ever have any questions about real estate in Belize, just drop by Rainforest Realty.” We did, and within 15 minutes she had all the answers we were seeking. We also met Cynthia and Hector at the office, and were impressed of how welcoming they were to us. We had a very good, no… I mean a GREAT feeling, about the people at Rainforest and asked them to present an offer to the home owner on our behalf. As our time there was limited, they put the wheels into motion and in two days we had a signed agreement of purchase. In November 2008, Rainforest Realty won a prestigious award for being the Best Realty Firm in Belize from the New York Times and CNBC, we had figured that out in March 2008 they were the best! Since we have returned to Canada, and have referred 3 people going to San Ignacio with the interest in looking at property to go to Rainforest Realty, first. One of them has his house up for sale here and will be a neighbor of mine in San Ignacio, thanks to Rainforest Realty. The staff at Rainforest Realty were great. They helped me with finding the right piece of property and at the price that I was looking for. It was a good experience and i hope to deal with them again in the future. Hello to all that are interested in purchasing housing or property in Belize. My wife and I purchased 56-1/2 acres in the Cayo district on Barton Creek which we have recently subdivided and now have four five acre tracks for sale all mountain top with beautiful views. I do believe without the help of Rainforest Realty, Macarena that is, it would have been A nightmare with us still living in Florida. She personally expedited everything in Belmopan along with corresponding with seller in California whom new little about the place which he had inherited. She provided surveyors so we could see our boundaries which was A must for me. They were great people, no problem and very professional. We immediately became good friends as all do with her just walk through town and mention her name, she has done so much in the area it would fill A book but here are A few: first animal rescue, soccer coach, television host, healer of the sick-foster parent in St Petersburg. We found A cabin and A barn as we were clearing the jungle that was built by Mennonites, that no one had any idea existed. Some times you get lucky and we certainly did meeting her. She is the best and when you meet her say “hi” from Mikie and Jinny. When we do return to Belize to look at real estate, we will have more time to really check things out and not be rushed to get back to the “Big Boat.” We do thank you for all you have done so far in replying to our inquiries and look forward to meeting you when we return to see properties. You are the only ones who have replied with any info to our requests (out of 5 or 6 other realtors we have contacted) and we appreciate it! In the meantime, we will continue to check your website to see new listings and would like to know about any ideas or listings that you come across. Keep in touch and we hope you are doing well! As a lot of Americans trying to find their dream property abroad, I spent over a year doing my homework studying everything the internet had to offer. Should I buy in Panama, perhaps Costa Rica or Belize? I surfed every website possible and decided Belize and especially the Cayo District was for me. 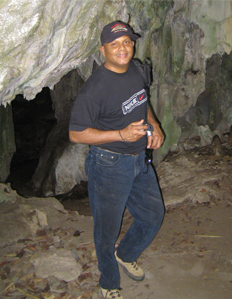 Most agents responded to my e-mail requests with short sentences saying contact us when you visit Belize. I then met Macarena Rose of Rain Forest Realty. She and her team provided much more valuable information than anyone else also letting me know of her hard work to organize honest realtors in Belize. 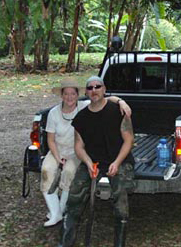 When I went to Belize this last October 7, 2008, she had several properties already picked out and I fell in love with a property in Bullet Tree Falls. She handled everything and the seller accepted my offer. I was a little worried about the paperwork but Macarena told me she would make sure every detail was attended too. I am now the proud owner of a tropical 37 acre parcel and am planning my retirement. All the paperwork and clear title arrived as she had said and not only am I a new land owner, but I have many more special friends at Rain Forest Realty. They have an awesome staff and I recommend them to everyone for honest and hardworking effort on behalf of their clients. Here’s a shout out to Hector, Thanks again my friend. Can’t wait to return in July. Macarena and Rainforest Realty know the Real Estate business very well in Belize. You have been very reliable and you know about what you speak of. Also, you keep your word. In any situation you don’t lose the summary. You have a very kind manner in contact with people. You stand by your customer’s side with advice and actions. The financial things are taken care of by you correctly, perfectly and quickly. The contracts were perfect and easy to understand. I only can recommend www.rainforestrealty.com for selling or buying your home in Belize. W. Scholz – Germany – Rainforest Realty Sold my Home ! 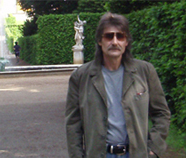 Buying property in a foreign country is an arduous task and formidable endeavor. Macarena Rose was extremely helpful with this process and did not limit her showings and suggestions to just her listings. Indeed, she was more interested in finding the right property for us than making a sale. Her professionalism extended to countless emails, even answering questions unrelated to our property. The real estate transaction itself was trouble free. My wife and I highly recommend Rainforest Realty to anyone interested in buying property in Cayo and beyond. Before arriving in Belize we had spent hours on the internet researching real estate happenings, practices, risks and rewards. We had realized that the more we read the more confusing it can be as far as what information you can count on or who to trust when it came to purchasing land in Belize. 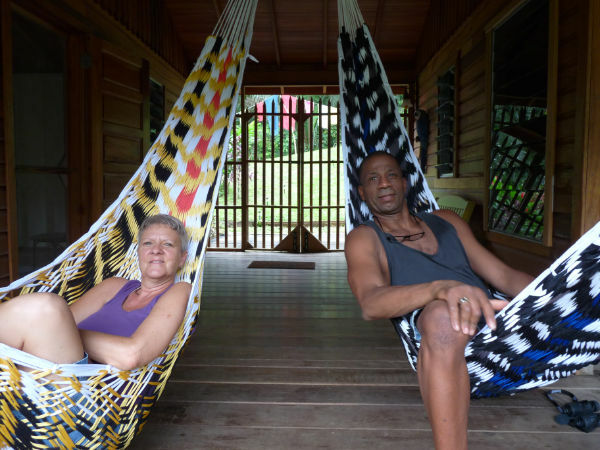 After concentrating our efforts on finding a contact/agent in Belize we were referred to Macarena Rose of Rainforest Realty by multiple foreign investors. What a Godsend! Macarena Rose walked us through our huge list of questions and concerns before we had left on our trip. From before our departure to after our return home she has, and still, is always accessible and willing to help. All the new questions and decisions we encountered once we had decided on a piece of property were also answered-she also made sure we were aware of so many other possibilities which had not even occurred to us. It’s one thing to have the fortune of guidance from such a reputable agent, but the honest and uplifting personality coupled with her tireless patience and a genuine desire to help was the ‘icing on the cake’. Her integrity and knowledge of the business is invaluable. If ever there was a professional that served her profession to a tea, it’s Macarena Rose of Rainforest Realty. Thank you for your professionalism and dedication in helping the University during their search for property. It was a sincere pleasure doing business with a real estate professional who truly had the customer’s best interest at heart. 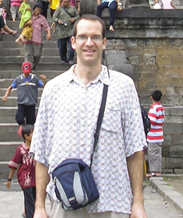 Dr. Edward Lee Paul, Jr. I am pleased to write to you about the great job Macarena did in helping me find my dream property in Belize. To anyone interested in buying property. 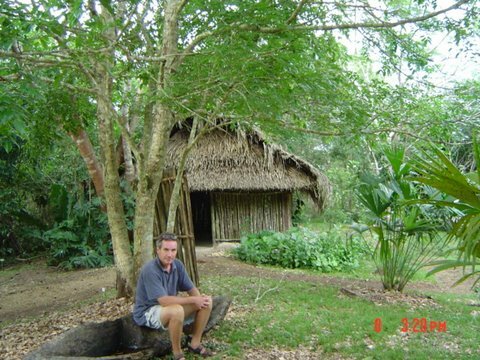 I made two previous trips to Belize in search of finding my dream property, but was not successful, until I found Macarena’s web site www.rainforestrealty.com and contacted Macarena. From our initial contact, Macarena offered and provided assistance from car rental, accommodation, places to eat and even arranged for activities to do while in Belize. In terms of my dream property, I described to Macarena what I was looking for and left it with her. She took her time and showed me many properties but never with any pressure to buy. We spend many long days traveling the country, and I was about to give up, but on my last day before leaving Belize, she called me and said she found a property I should look at. The minute I saw the property, I knew it was my dream place. I made my offer to purchase the property and returned to Canada. Macarena handled the entire transaction (from getting the vendor to accept my asking pricing to getting the legal work and “Title of Deed” delivered to my address in Canada. ).ties or just getting general help in Belize, I recommend Macarena Rose. 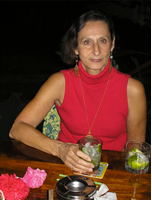 I meet Macarena quite by accident as a friend of mine told her that I was thinking of selling my property in Belize. Fact of the matter I wasn’t wanting to sell at all. But I did have a problem with the title on the property. In a matter of a month Macarena had my problem cleaned right up. About a year or so latter I decided to sell my property. Remembering how professionally Macarena had handled things before I decided to listed my property with her. That was about January 30, 2006. Well here it is April 17, 2006 and the property is sold, closed and I have received my money! WOW !!!!! Now it doesn’t get much better than that! Honesty and professionalism have always been at the top of my list when doing business on any level. This is what you get when dealing with this fine Lady. She is the real deal! Best wishes always Macarena! It’s without hesitation that we recommend Macarena Rose to anyone interested in finding their dream property anywhere in Belize, or to someone trying to understand how to do things here, or just trying to find a good place to eat. We wanted to look for property in Belize, but knew we needed help. Through the internet we contacted several Realtors. Macarena replied with help finding accommodations, showed us around town, introducing us to folks and helped us to get comfortable. She took us around to look at properties with great patience and no pressure. We did purchase a small parcel, but had to return to the States. Macarena handled the entire transaction on our behalf. Without their help, we wouldn’t be pursuing our dream to retire to this beautiful place. She has generosity and kindness that was unexpected and is treasured. Thanks for all the help and persistence in pushing the sale of Lot 330 through. We received the title papers and all looks to be in perfect order. We look forward to when we can make the permanent move to Santa Elena, hopefully in the not-too-distant future. From our experience, the paperwork and details are what make or break land transfers in Belize, and your work to keep that transparent was exemplary and greatly appreciated. Please feel free to use us as a reference at any time – we would be happy to recommend you as one of the best in Belize. If you are looking to purchase property in Belize, then Macarena and her team are the people to see! They are truly professional, trustworthy and reliable, plus (most importantly) they listen to what you would like and then find it for you!! It’s that simple! When we first started looking at properties, we did meet with every realtor in Cayo. It quickly became very clear that Rainforest and Macarena was the one and only logical option. When we did find the right property, Macarena took care of everything while we were still in Canada. 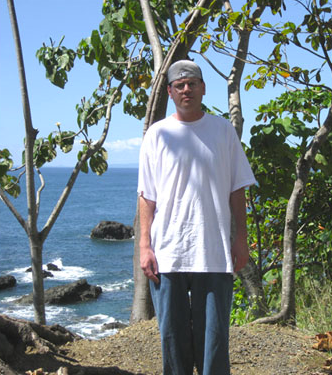 Read Klod’s (TropiCat) blog about living and building off-grid. Thank you Macarena for making our purchase a pleasant and easy one, you not only helped our company in locating the right Investment Land in Belize. You also were there in every step of the transaction until the Deed was received. We purchased 17.5 Acres Riverfront Parcel and we wouldn’t trust anyone else to do business in Belize. Ray and Lee moved to Belize 3 years ago with their Daughter. We bought land from Rainforest Realty, moved here a year later. We both had successful business careers in the USA, including a real estate company, which is the reason we choose to work with Macarena Rose and Rainforest Realty. It was because of the professionalism, the honesty, the knowledge of the area as well as the love we felt from the owner, Macarena. 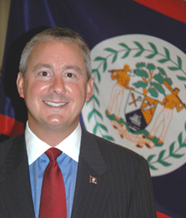 Before moving to Belize, Lee was also a Registered Nurse, and Ray an administrator with a health organization. We were very involved in community activities, Chamber of Commerce and many professional organizations. 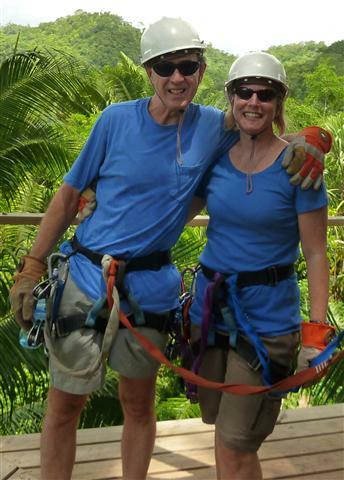 The fun things that we both like is travel—which is how and why we got to Belize. We visited here on a cruise, fell in love with Belize, and made a choice to pack up an move to Belize where things are friendly, easy and lots of opportunities to retire in comfort. Belize is not for everyone, but it is for those who enjoy life, love and freedom. We have found the treatment of prospective buyers is utmost important when they want to purchase property in a foreign county. It is not easy to know how things work in a foreign country. It IS important however, to trust the person and people that you do business with. Rainforest Realty is one real estate company that commands total respect and dedication. I would like to express my upmost appreciation for all of the services provided to me by Rainforest realty. While I was in Belize looking at property with Hector, I was treated with great respect and received excellent customer service. Macarena and her staff are very professional and have a great deal of knowledge about real estate in Belize. I am very pleased with my property purchase in San Ignacio and would not hesitate to use the service of Rainforest Realty in the future. Much thanks to all of the staff. 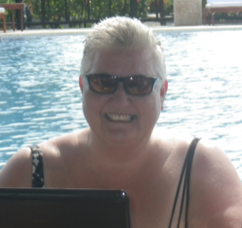 … buying property here in Belize was a pleasure! … we had competent guides through the paper jungle! … there was always somebody taking care of our concerns and best interests – always! … a complex process has seemed quite easy! … we found exactly what we have been looking for! Macarena & Hector – Thank you so much! We highly recommend Macarena Rose for every aspect of your real estate needs. We have a rental property in Cayo and Macarena takes care of our guests spectacularly. They also rave about her professionalism and kindness, as have others who’ve given their testimonials. When one person tells you about Macarena and then you read all of these reviews, you know you have found the right real estate agent. Macarena is also expanding out into property management and other services. Ask her about them. Enjoy your time with Macarena no matter what your purpose for contacting her. You will not be disappointed. I have known Macarena Rose for several years. In meeting her I liked her openness. A few weeks later on passing her office I stopped in. Since then I have had many opportunities of watching how she dwelt with her staff and the folks coming in to sell or buy. Everyone is treated with respect no matter what. I have seen how she and her staff take the time to explain things, until it is understood. After watching and asking questions myself, I felt comfortable in recommending her to many people both sellers and buyers or folks who are having problems with there titles, because of one reason or another. She has solved so many problems for both Belizeans and Foreigners. 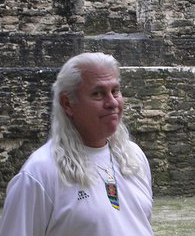 When I came to Belize looking for property, I went to many different real estate agents and found the service very poor. I wish Rainforest was around when we first came to Belize. Macarena Rose and a number of her staff are now my friends , but in my humble opinion I think Macarena Rose and the Rainforest staff is , not only the most professional and knowledgeable people in the real estate field in Belize, but also one of the most caring. People are very important to them and many folks since doing business with Rainforest have become friends with them. There is no other in Belize than Macarena Rose and her staff that I would recommend for your real estate needs. Buying or selling property is not only a business transaction, it is also a very personal and emotional time. Aren’t we so often warned: never mix personal matters with business – it’s a minefield? But what if you could do it without this deadly mix – the nightmares, the frustrations and the panic? Well.., as we discovered, Rainforest Realty are the people you should visit. As if you had just walked into a kennel filled with adorable puppy dogs, at their office you will immediately be smothered in warm, fuzzy cuddliness. Sure, it is an unusual sensation for a real-estate office. We agree, having stepped into plenty ourselves over the years. But that’s the magic of it, especially if you need to visit them a few times before finalizing your deal. You are always greeted with a genuine smile, a friendly hug and plenty of laughter. And here’s that magic: behind the scenes, behind all the gaiety and warmth, Rainforest Realty are getting on with it; far beyond what one would normally expect of a real-estate agent; as if someone from your own family were helping you out. Things get done like a secret change of bed sheets everyday: wrinkles are ironed out, pillows fluffed up, and you didn’t even know it. You find yourself wondering often, as we did, how on Earth can we have so much fun doing business.